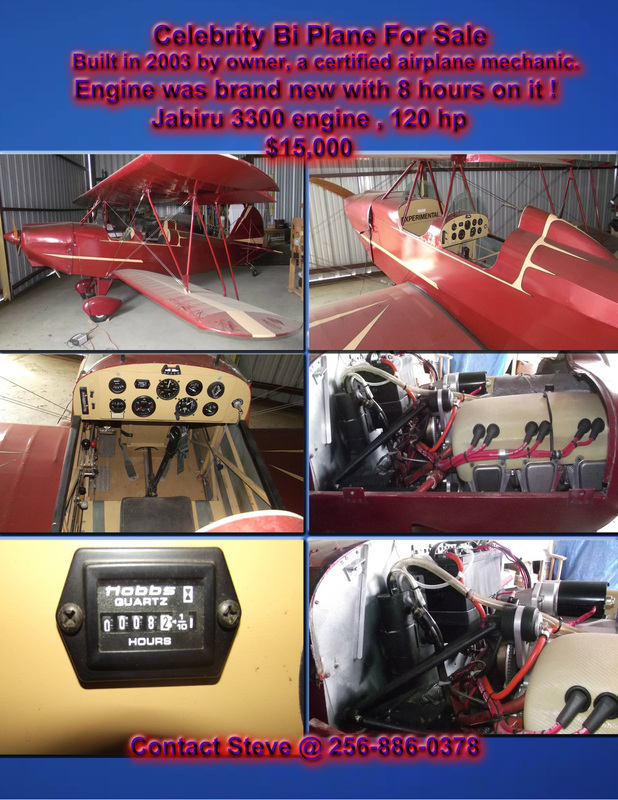 10/22/17 – FOR SALE: Celebrity bi-plane. $15,000. Built in 2003. 120hp Jabiru with 8 hours. Located in Fort Payne, Alabama. Click HERE to view flyer. SELLER: Steve Johnson, bamaboy606@gmail.com, 256-886-0378. 10/17/17 – FOR SALE: 1998 Zenair 701 STOL. Asking $19,500/consider offers. Located in Taylor, Arizona. Click HERE to view flyer. SELLER: Ron Cargile, cargileronchar@gmail.com, 928-337-5081. 11/2/17 – WANTED: Engine mount for the flat back 0-360 (not angled conical mount). CONTACT: JD Walker, mrjdwalker@yahoo.com, 602-663-3092.